The KPK government has made the decision that the educational boards of KPK province will not organize the matric class part 1 annual exams. But the high and higher secondary schools will manage class 9 annual exams in their schools at their own like rest of the classes. KPK Boards Stop Conducting Class 9 Annual Exams. 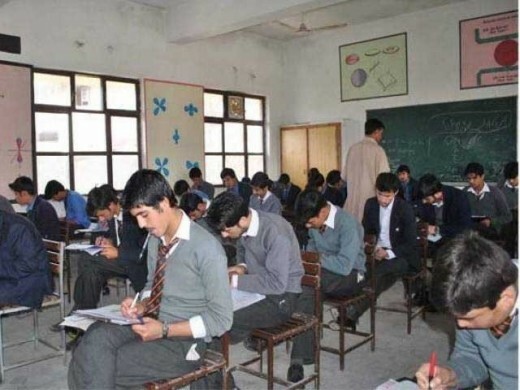 The government of Khyber Pakhtunkhwa also made the decision that the educational boards will hold the middle class annual exams at the end of the year. The government is going to issue the notification in this regard. It is further stated that prior to 1996, the educational boards conducted the 8th class annual exams and the schools managed their 9th class annual exams by the concerned schools like their remaining classes. After 1997, the old procedure was changed and all of the educational boards were asked to adopt the new procedure. Now the government has made the decision and the notification will be issued in this regard within few days. The KPK government has issued the instructions to the concerned educational boards and asked them to take the grade 8 annual exams at the end of the academic year and the educational boards will not take the ninth class annual exams. The schools are allowed to manage the SSC part 1 annual exams at their own.